The weather is scorching, the residual heat from a thousand local BBQs are not helping the situation and it feels like my sunglasses have melted on to my head. The sun in shining and I can feel its heat on my head, its radiation giving me a redneck, all from 93 million miles away. It’s been a long time since I’ve done any astronomy, and even longer since any solar viewing with Coronado PST, but its clearly cloud free and blisteringly hot, a chance to image the sun using my dedicated solar telescope, a Hydrogen alpha Coronado PST. Even though we’re now way past Solar Maximum, the sun cycles every 11 years, there’s still a little activity to view. 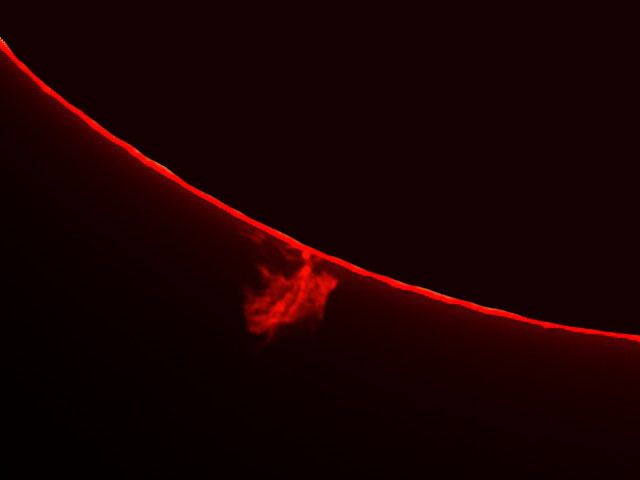 The sunspot that you see on the left of the image shows some quite squirly activity, boiling gas and plasma and a fiery filaments, view of prominences on the edge of the sun, huge ribbons of ionized gas projecting from the sun’s chromosphere. 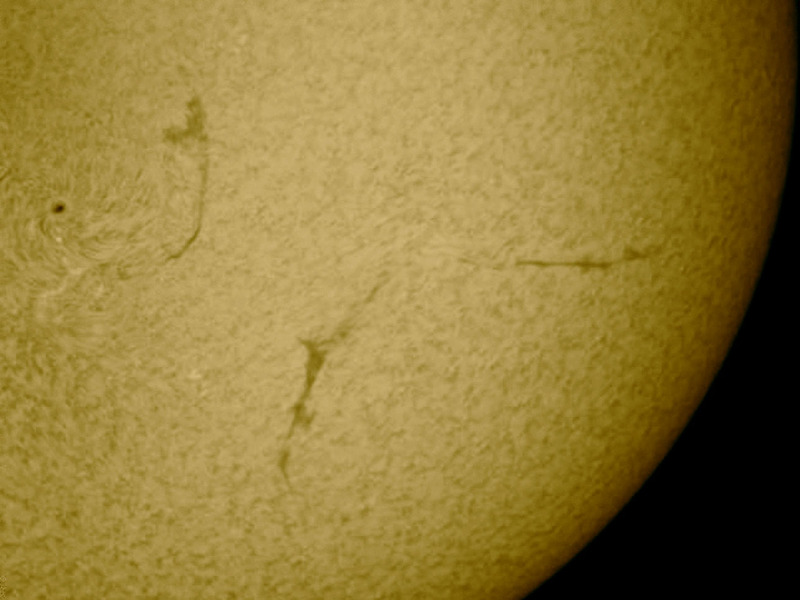 Both of these images were taken using a Coronado PST and an ASI120MC camera. Unfortunately I can’t get a whole disc image as I need to use a Barlow lens to achieve focus. Also be better to use a mono camera instead of a colour camera like the one I have. A mono camera would be far more efficient because with a color camera on the sun, it only takes in the red channel, in effect using only 1/3rd of the camera. This is not a cheap hobby, or an easy one at times.